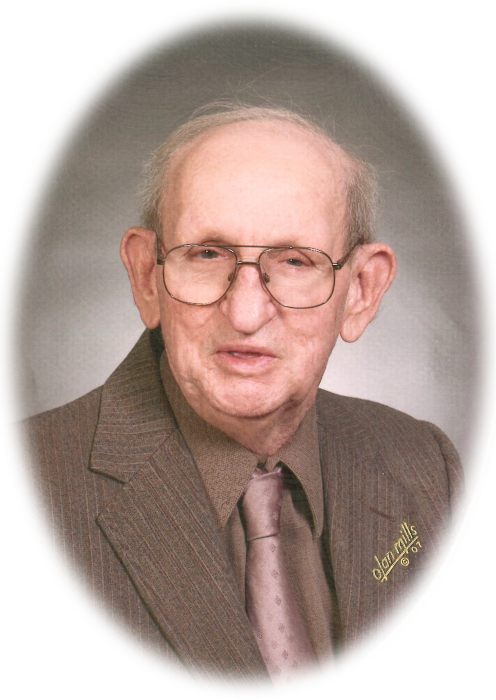 Hawarden, Iowa ~ Jules Martin Johnson, 82, of Hawarden, passed away surrounded by family on Sunday, March 24, 2019. Funeral Service will be 10:30 a.m. Thursday, March 28, 2019 at the American Lutheran Church in Hawarden with Rev. Erma Wolf officiating. Burial will follow in the Grace Hill Cemetery. Visitation will begin at noon Wednesday, with the family present beginning at 6:30 p.m. and a Prayer Service at 7:30 p.m. at the American Lutheran Church. The family prefers memorials be directed to the Hawarden Regional Healthcare Hospital, Hawarden Ambulance Association, or the Hawarden Fire Department. The Porter Funeral Home in Hawarden is assisting the family. Condolences may be sent to www.porterfuneralhomes.com. Jules Martin Johnson was born July 28, 1936 in Hawarden, Iowa, the son of Lloyd and Dorothy Johnson. Born and raised in Hawarden, he married his High School sweetheart Mary Truesdell on August 4th, 1957. Jules recognized the importance of giving back to his community. A lifetime of service included participation in the 1950’s Ground Observer Corps, 18 years as a Hawarden City Councilman, and one as Mayor. During these years of service Jules was instrumental in the development of a new fire department/ambulance garage, library, and water tower. He helped to organize the Hawarden Volunteer Ambulance Crew, where he served as a charter member from 1971-1987. Jules was also a member of the Hawarden Volunteer Fire Department from 1960-1981; 21 years of service…10 of which he held the position of Captain. He was a founding member of the Hawarden Jaycees, and active within the Hawarden Chamber. Jules owned and operated Truesdell Motors, and later established The Quick Corner in Hawarden, Iowa. He led these local businesses exemplifying honesty, integrity, hard work, and relentless customer service. Jules took pride in being the “first employer” for countless WS High School students, and was well-known for the “Big Cookies” on the counter that only he could get right. His smile and sense of humor were easily recognized, and will be forever treasured. Jules served on the Board of Deacons and Elders within the Associated Church of Hawarden. He was a recipient of the Hawarden Chamber President’s Award in 2010. Jules loved his Country, his town, and his family. He was preceded in death by his parents, Lloyd Johnson and Dorothy (Brown) Johnson. Jules is survived by his wife, Mary; brother, Bob Johnson and wife Suzanne; 3 daughters, Cathy Noble and husband Dean, Chery Ewoldt and husband Dave, Cindy Parks and husband Brian; 6 grandchildren, Ryan Noble and wife Ashley, Jenna Willi and husband Jordan, Jon Parks and partner Jesica, Paula Woodford and husband Ross, Patrick Ewoldt, and Christopher Parks and fiancé Emily; and 2 great-grandchildren, Lincoln Noble (6) and Hudson Noble (2).